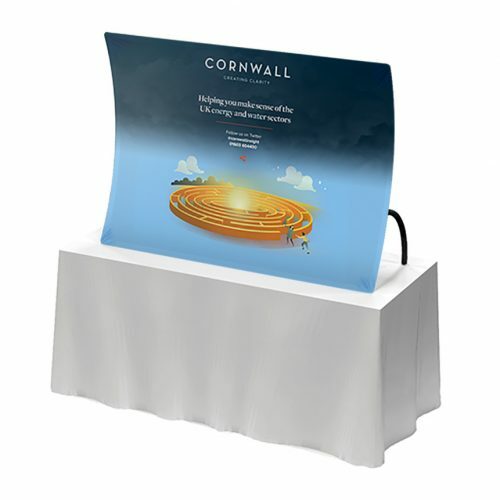 Exhibition roller banners are at the heart of any exhibition and provide the bread and butter basis for good marketing and an effective exhibition stand display. 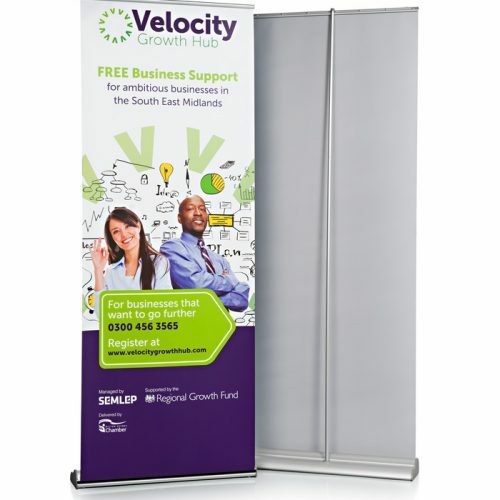 Our wide range of pull up banners are available in a variety of sizes and styles to suit any event. Roller banners are one of the most versatile display solutions on the market and provide effective communication and brand promotion. They simply pull up and require no tools, meaning one person can assemble a banner in minutes with minimum hassle. 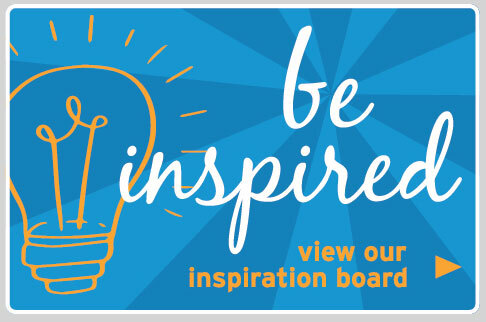 Our graphic design team will help you to create a roller banner that best serves your business. For more information about our graphic design service or any of our display products, please contact us. 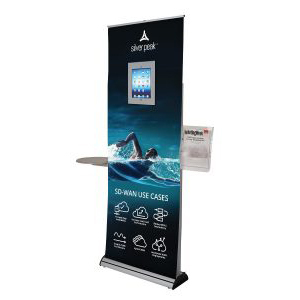 Pop-up roller banners are one of the most versatile marketing tools available, offering a cost-effective, portable and easy to use solution for brand promotion. 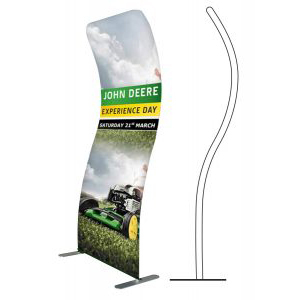 Double sided pull up banners are designed for those areas that leave your stand most exposed. Cover all angles for maximum marketing reach. Ideal for businesses who change marketing messages frequently, the quick-change replacement graphic offers a cost-effective solution for remarketing your brand regularly. 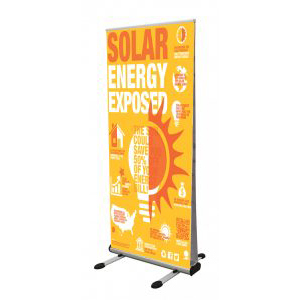 Large format roller banners provide maximum brand exposure for events and exhibitions, as well as offering additional height or width for extra visibility. 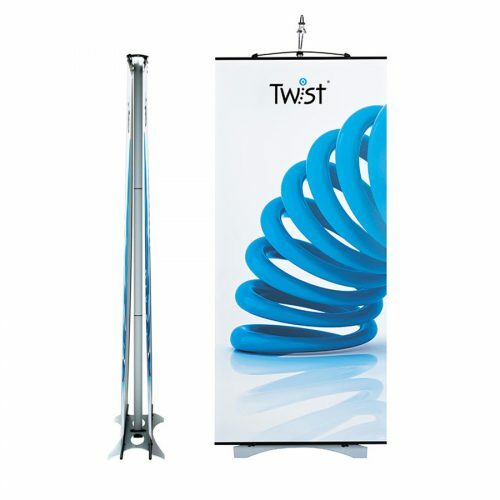 One of the most flexible tension banner display systems on the market, Twist banners grow and change alongside your business and marketing needs. 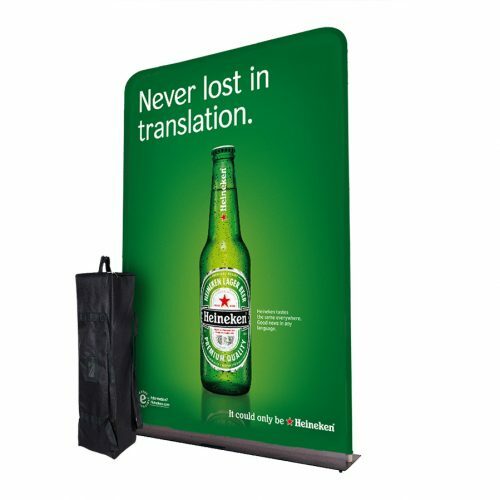 For a flawless alternative to traditional banners, fabric banners provide seamless edge to edge marketing for an interesting and unique experience. Personalise your exhibition stand by adding some accessories for a professional finishing touch. 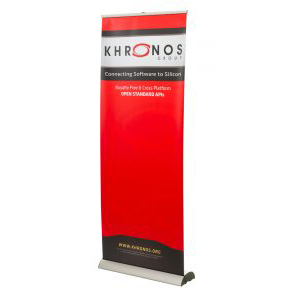 Exhibitions, displays, retail, trade shows, reception areas – you name it, retractable banners can do it. 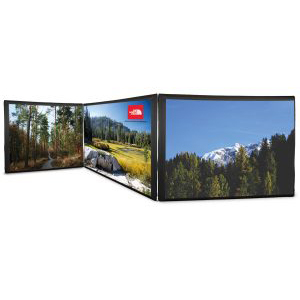 They are one of the oldest display solutions available and have stood the test of time due to their versatility and high impact brand exposure. 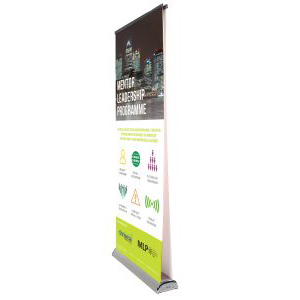 Pull-up banners can be used as a lone marketing tool or as part of a larger display and are available in sizes ranging from desktop banners all the way up to 3m wide banners. Roller banners encapsulate the very definition of easy self-build, taking mere seconds to pull up. They are lightweight, compact and great for effortless transportation. They take up very little room, meaning they are a great option for marketing your brand without taking up too much floor space. 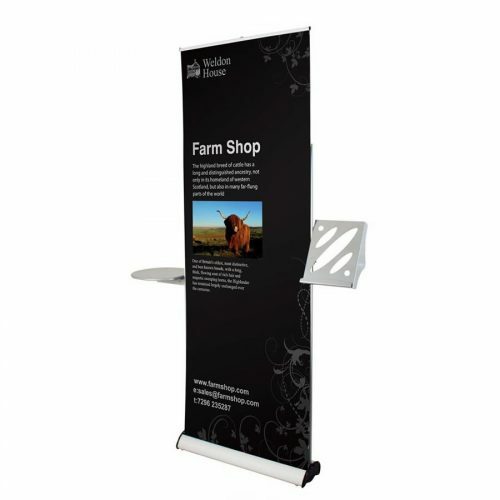 All of our banner stands are designed, printed and manufactured in-house and undergo rigorous quality checks before being dispatched to our customers. Each banner is test built to ensure the graphics are sharp and crisp and that the hardware is in full working order. 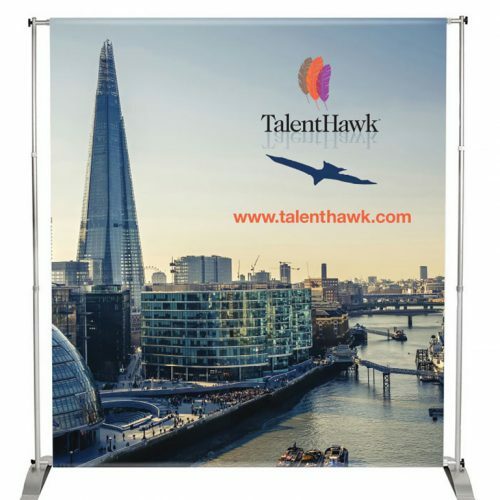 With so many roller banners available on the market, it’s hard to know which one to buy. Our team expertly select the right solution for your marketing needs, ensuring you get nothing less than what is needed. 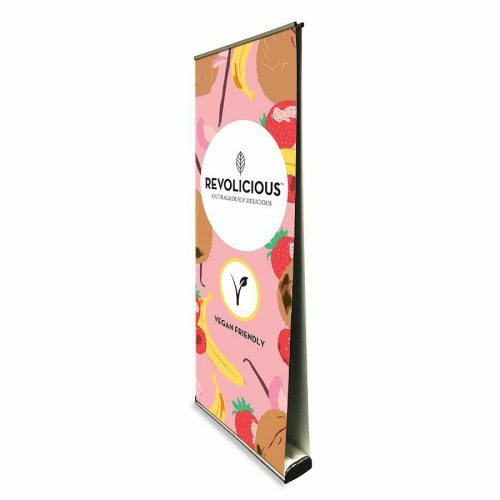 Double sided roller banners ensure your brand is seen from all angles and are the ideal display solution for high traffic areas when footfall is expected from all directions. 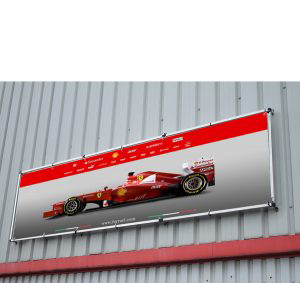 Double sided graphics enable you to maximise your brand exposure by having your brand on show at all times. They are especially useful if you have a marketing spot in the middle of an exhibition hall. 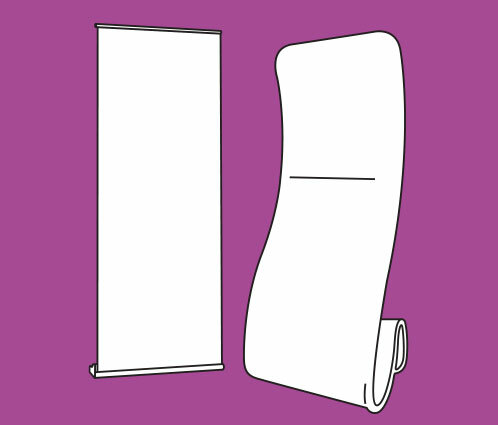 As with all pull-up banners, double-sided banners can be effortlessly assembled in minutes by just one person. They are lightweight, easy to transport and are supplied with specially designed carry bags. 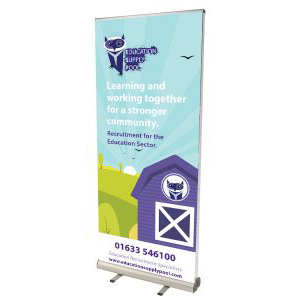 Double sided banners come with high quality, full colour printed graphics which are laminated for scratch, tear and crease resistance, giving you longer lasting artwork. Double sided banners are complete with two printed graphics which retract into the banner cassette. 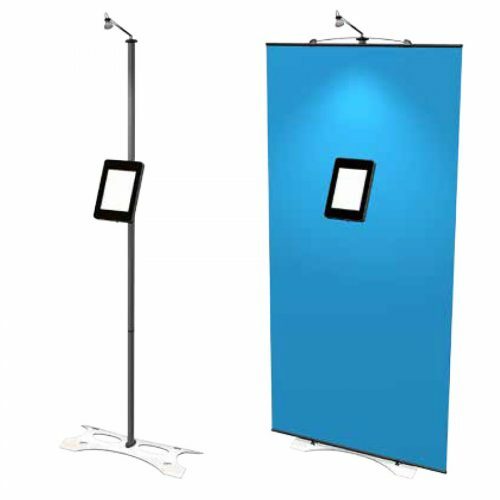 They take up minimal space, making them ideal for exhibition halls where space is limited. 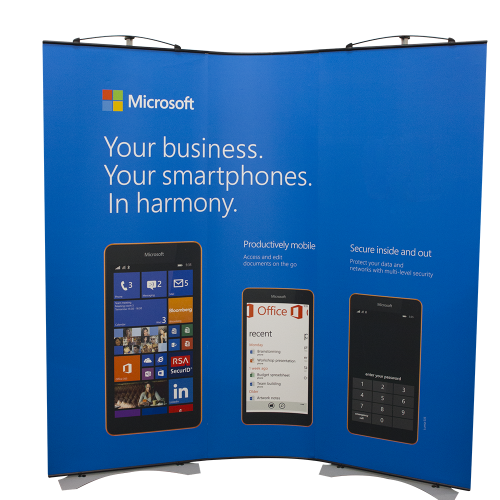 You can choose to use the pull up banner with just one graphic if you only require one side for your event. This means you can use your double-sided cassette at any event. 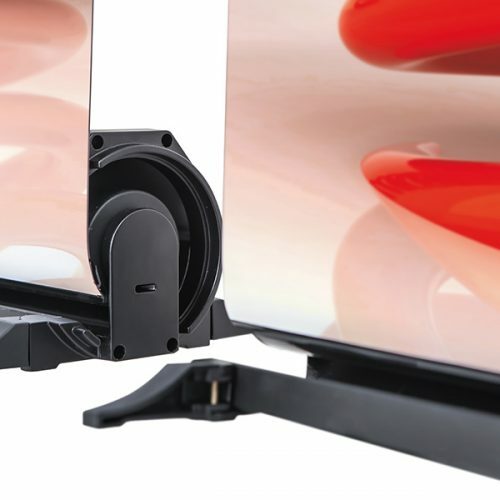 The wide cassette base offers maximum stability when in use, meaning your stand won’t wobble or lean. If your business is one that requires a frequent change of branding, replaceable cassettes are ideal because they offer a cost-effective solution for re-marketing your brand. They are ideal for businesses who travel a lot and attend several events a year. Effortless graphic change is achievable by simply switching the internal graphic cassette out and replacing it with a new one. The cost-effective replacement graphic frees up more of your marketing budget instead of buying an entirely new banner stand each time your marketing message changes. 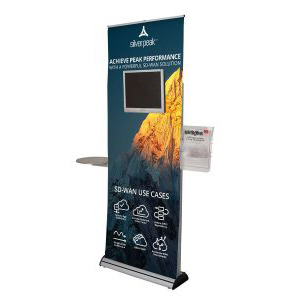 Replaceable cassettes come with all the same great features as traditional pull-up banner stands. 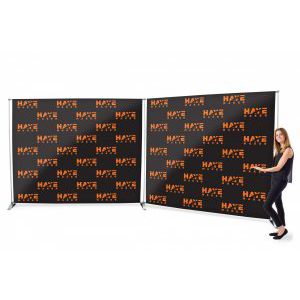 They are lightweight, easy to assemble and provide an effective solution for promoting your brand professionally. Replaceable cassettes can be put up in minutes and take up very little room to store. They also take up next to no floor space in the exhibition hall, giving you a bigger area to engage and interact with clients. The graphic change takes just minutes to complete. Simply drop in the new cassette and pull out your new banner graphics. Re-branding for your next event has never been so easy. If looked after properly, replaceable cassettes can last for years, therefore enabling you to get the most out of your investment. 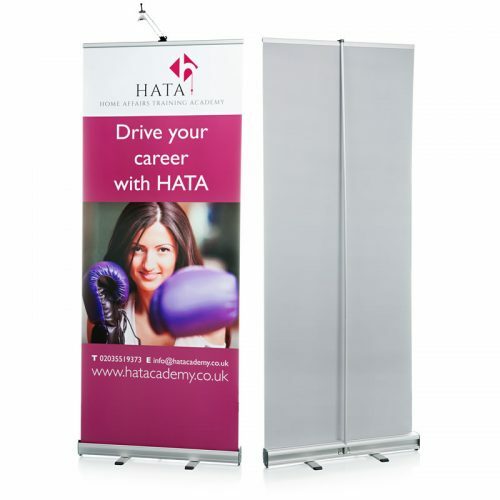 If you want to get your business noticed quickly, a large format pull-up exhibition banner is a great start. 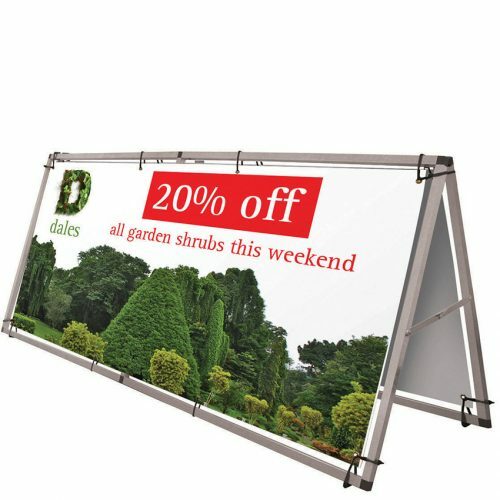 Large format banners are available in various sizes up to 3m high or 2.4m wide, giving your brand extra height and visibility over your competitors. 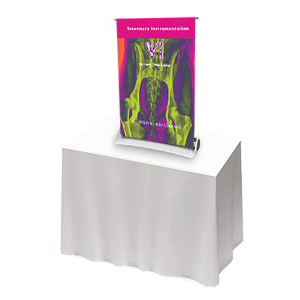 Our wide range of large format banner stands offers a solution for every event need. 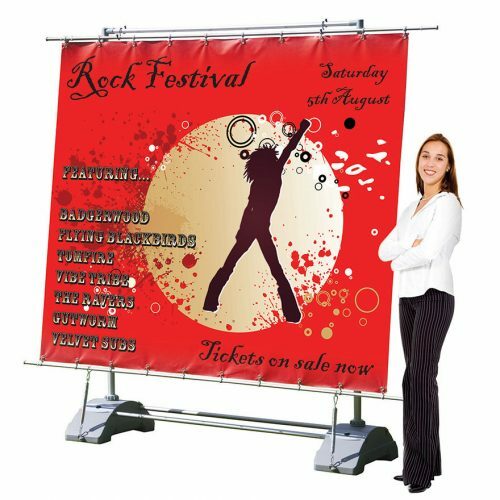 Large banners work well on their own or as part of a bigger display by acting as a back drop. 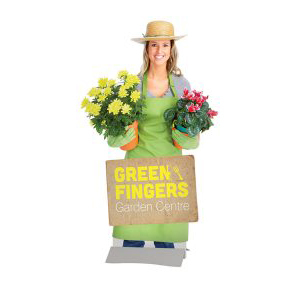 They are supplied with full colour printed graphics which are laminated for scratch, tear and crease resistance, ensuring a longer lasting and more durable display. 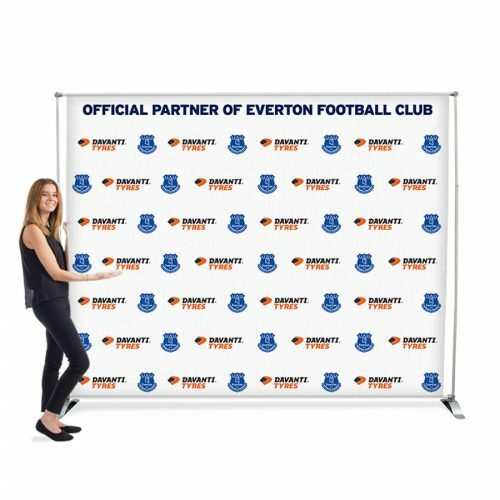 Large format banner stands are perfect for award ceremonies, interviews, photography and press events, exhibitions, photography studios and even weddings and parties where a large custom printed back wall is required. Step and repeat printing of logos often works well for events where a branded presence is needed for maximum brand opportunity. Large format roller banners offer plenty of space for this. 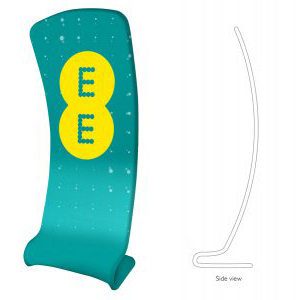 We offer large format banners with premium fabric graphics for an interesting twist on traditional PVC banner stands. Fabric banners offer seamless edge to edge graphics and can be folded away for easy transportation and storage. 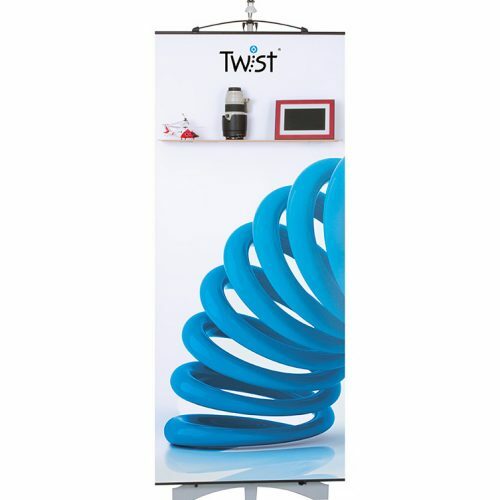 Twist banners are a highly flexible and versatile display system which have the ability to grow, change and be adapted to your business’ marketing needs. 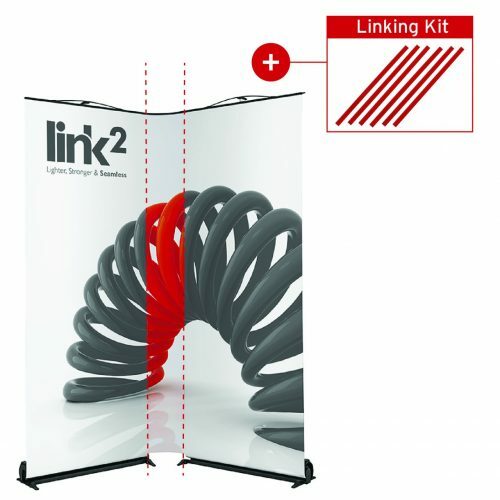 Twist banners can be used as standalone banner stands for smaller events or they can be linked using linking panels to create a seamless modular display. 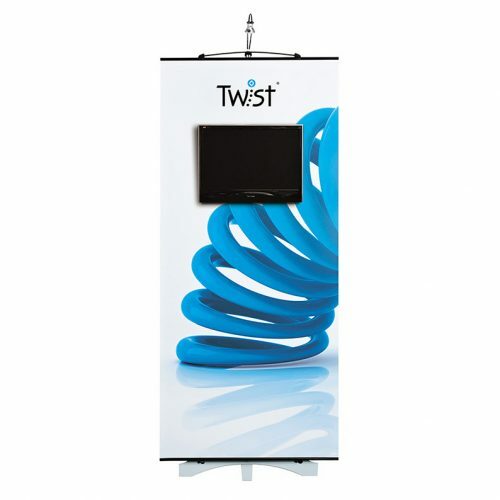 By using linking panels, you can mould your twist display to fit into any exhibition space. 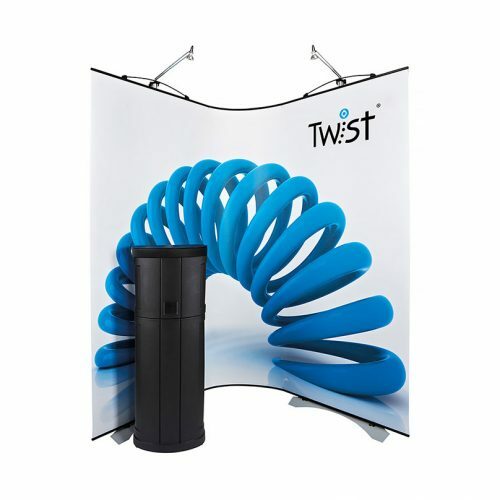 Twist exhibition stands allow you to change your display as and when you need to by simply adding new components or changing your graphics. 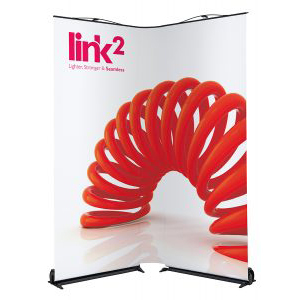 This means you can reuse your banner stand at several events, maximising the return on your investment. 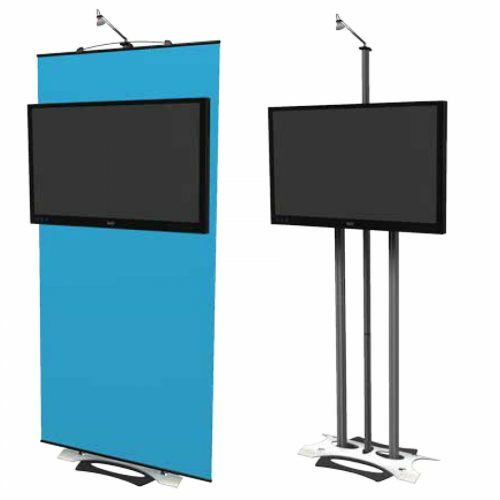 You can link the panels to create any shape, adding to the versatile properties of the product. These banners work well in shell scheme spaces and open spaces. 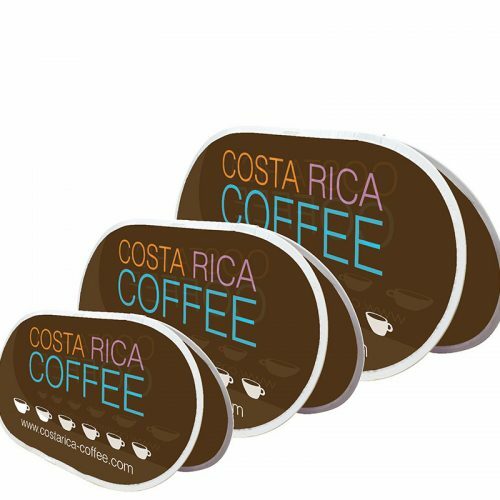 They are great for use at events such as trade shows, career fairs, product lauches, promotional exhibitions and more. 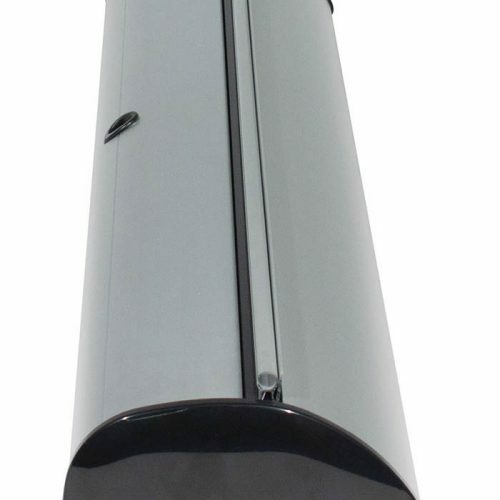 Twist stands are available in three heights – 2000mm, 2250mm and 2700mm for maximum event exposure. 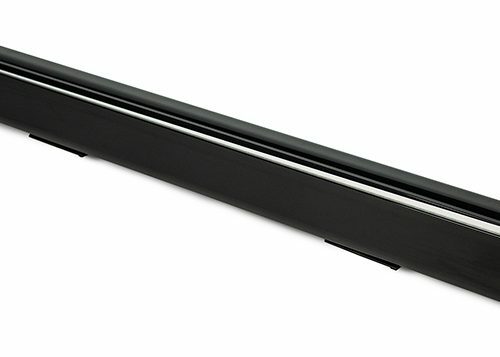 You can choose from four widths – 700mm, 800mm, 900mm and 1000mm. 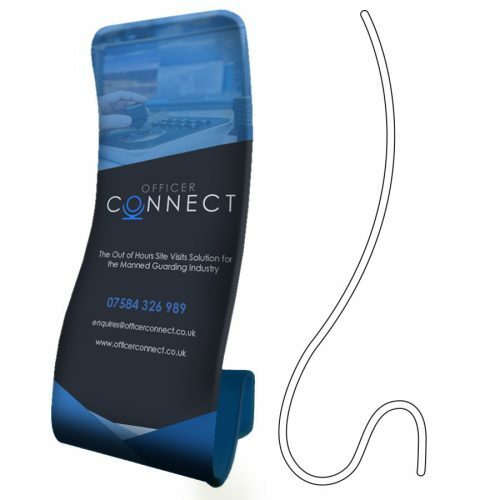 Twist banners provide a flexible and stylish display and come with the option of adding whole host of accessories to really maximise impact. 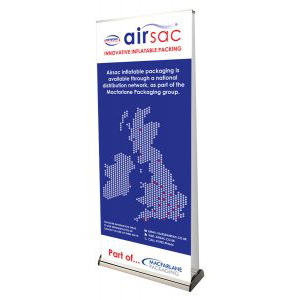 Fabric roller banners offer an innovative display solution to maximise vibrancy and decrease assembly effort. 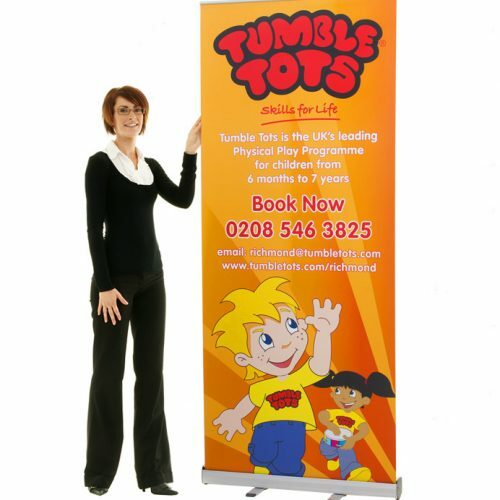 Fabric banner stands use tension fabric graphics which are printed in full colour onto power-stretch polyester, giving you a seamless, unbeatable finish. The dye-sublimation printing technique offers exceptional print quality which is long lasting and more vibrant than traditional PVC or vinyl banners. Dye-sub means that the water-based ink is injected directly into the fabric rather than on top. Heat then bonds the ink to the fabric. As a result of the dye-sub, the graphics won’t crack, peel or fade. They can even be washed and folded without damage. 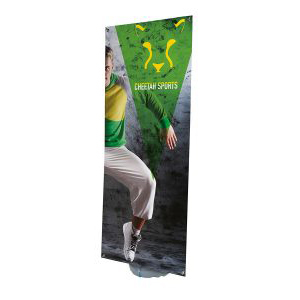 The one-piece fabric graphic simply slides over the lightweight tubular frame for a display that is ready in minutes. As the tension fabric is fitted into place, it becomes taut and creases are removed instantly. The effortless self-build and the compact yet sturdy design means that the whole display can be assembled and deconstructed by one person in minutes. The fabric can simply be folded away, taking up a minimal amount of room. Supplied with a specially designed carry bag, fabric roller banners are made with portability, high impact and ease of use in mind. 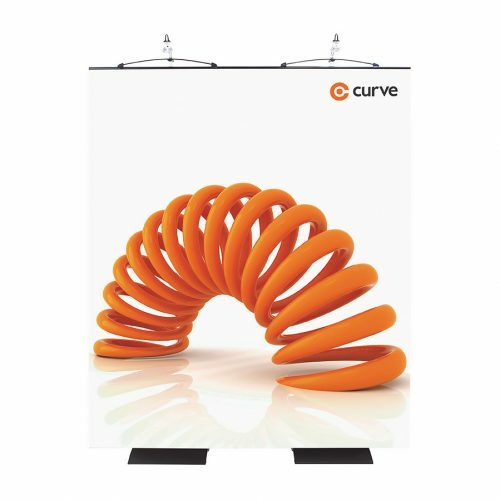 Make your display stand out from the crowd by customising it using our wide range of roller banner accessories. 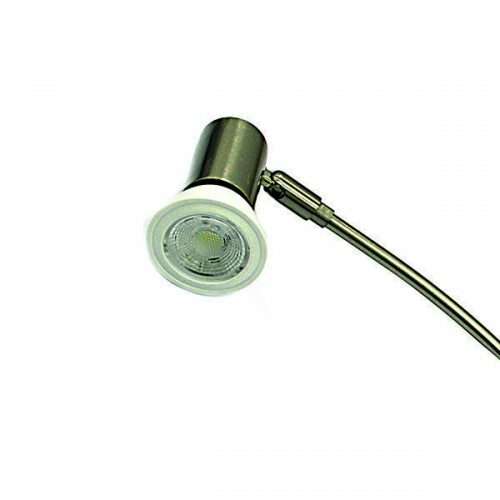 Spotlights are an ingenious way of illuminating artwork and graphics, ensuring your marketing message is highly visible. Adding accessories to your exhibition stand will enable to you effectively attract and keep your visitors engaged with your brand for longer. One of the oldest yet most effective methods of brand promotion is through the distribution of literature. 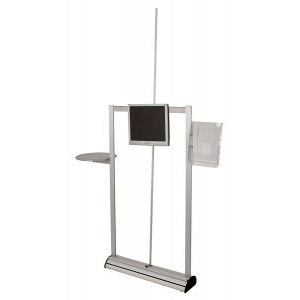 Our range of leaflet dispensers will ensure your leaflet distribution is neat and professional. 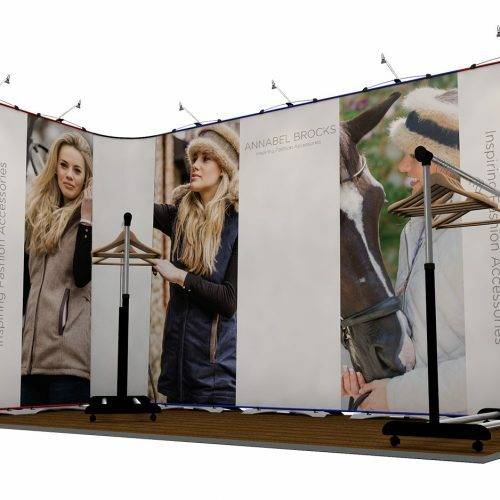 Audio visuals are designed to attract visitors to your stand and ensure engagement is maximised. 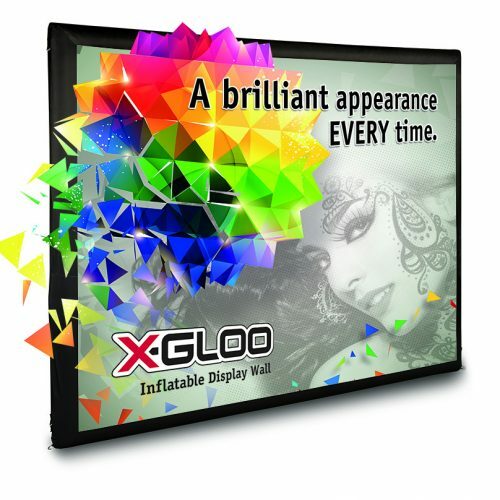 Add a TV or monitor bracket to your roller banner and showcase your brand to its fullest. By playing a promotional business video, you can market your brand to the absolute fullest, making sure that every possible area that can promote your business is covered. 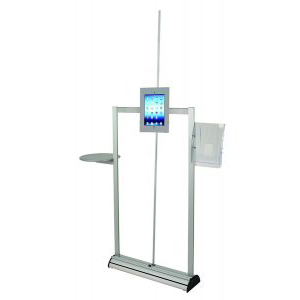 iPad stands can be attached to the frame of roller banners, enabling customers to interact and engage with your website and products. Experiential displays are growing in popularity and are the ones visitors are the most attracted to, so by having at least one interactive element, you are staying one step ahead of your competitors.